Jeff Broadstreet (“Night of the Living Dead 3D”), director of “Handy Dandy”, will use the credit, Roy G. Biv, when the film comes out. The film is currently in post and is being readied for the upcoming American Film Market . Broadstreet cites contractual violations as the reasons behind the credit removal. 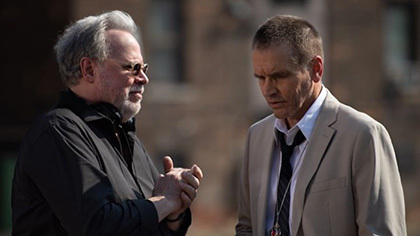 “When I signed on to direct the Detroit-set film in April, I was to supervise the editing. Instead the producer of the film, Donald Borza, who is based in Detroit, excluded me from the editing process in clear violation of my contract”, said Broadstreet. Except for consulting in Los Angeles on two unedited visual effects heavy scenes to aid the film’s visual effects supervisor, Broadstreet has not been involved in the editing of the film. “Needless to say, when I viewed Mr. Borza’s cut of the film, I was underwhelmed. Mr. Borza has one previous credit as the primary producer, a nonhorror feature barely released in 2000. Having produced and supervised the editing of six indie features myself, Mr. Borza’s lack of experience clearly shows. Further, the majority of my directing fee is still owed, ninety days after the wrap of principal photography”, the director said. Broadstreet went on to say, “Additionally, I stand in solidarity with the crew of the film who, as of last week, have also not been paid their full salaries and it’s my understanding they are contemplating a lawsuit against the producer”. Broadstreet has moved on to the documentary, “Zodiac Man”.